It's hard to believe Ridley Scott's handsome epic won't become the cinematic touchstone of the Crusades for years to come. 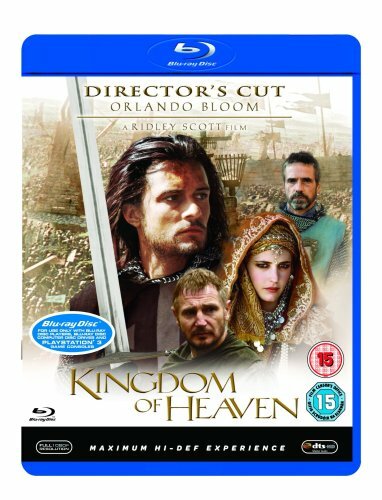 Kingdom of Heaven is greater than the sum of its parts, delivering a vital, mostly engrossing tale following Balian (Orlando Bloom), a lonely French blacksmith who discovers he's a noble heir and takes his father's (Liam Neeson) place in the center of the universe circa 1184: Jerusalem. Here, grand battles and backdoor politics are key as Scott and first-time screenwriter William Monahan fashion an excellent storyline to tackle the centuries-long conflict. Two forward-thinking kings, Baldwin (Edward Norton in an uncredited yet substantial role) and Saladin (Ghassan Massoud), hold an uneasy truce between Christians (who hold the city) and Muslims while factions champ at the bit for blood. There are good and evildoers on both sides, with the Knights Templar taking the brunt of the blame; Balian plans to find his soul while protecting Baldwin and the people.